Sessions Slams Colorado GOP Senator in Fight Over Marijuana . Sen. Cory Gardner (R-CO) has been sticking up for his state by blocking Department of Justice nominees from consideration until Attorney General Sessions backs away from his decision to rescind Obama-era guidance to prosecutors allowing states to generally implement marijuana legalization without federal interference. And Jeff Sessions doesn't like it. He went after Gardner -- without mentioning his name -- in a speech at the National Sheriffs' Association Monday. "Too often, we've seen bad judgements, even politics enter into the work that we do," Sessions complained. "We're trying to confirm a number of important component heads at the Department of Justice. It's just getting to be frustrating, I've gotta tell you. Our nominee to the National Security Division -- the anti-terrorism division -- was approved unanimously in the committee. But because right now one senator's concerns over unrelated issues -- like reversing federal law against marijuana -- we can't even get a vote." Colorado Sold a Billion and Half Dollars' Worth of Marijuana Last Year . It was a record-breaking year for the Rocky Mountain State. The Department of Revenue reported last Friday that legal marijuana sales topped $1.51 billion last year, with $1.09 billion coming from adult use sales and $416.52 million coming from medical marijuana sales. Those sales generated more than $247 million in taxes and fees for the state. Florida Poll Has Healthy Majority for Legalization . A new poll from the University of North Florida finds that 62% of registered voters would back a state law regulating marijuana like alcohol, and 45% said they would "strongly support" such a law. The poll comes weeks after backers of a legalization initiative in the state conceded they did not have enough signatures to qualify for the ballot. Massachusetts DAs Want Licenses Delayed for Cannabis Cafes, Delivery Services . In a letter last Friday to the Cannabis Control Commission, the Massachusetts District Attorneys Association called on the commission to hold off on issuing licenses for cannabis social clubs and delivery services. "We have security concerns for these businesses, their employees and their customers," the prosecutors wrote. "Moreover, these businesses heighten our concerns relative to such issues as operating under the influence, increased marijuana access by persons under the age of 21, theft and diversion to the black market." The DAs also warned that immediately licensing such businesses would be "irresponsible, ill-informed, and dangerous." Michigan Legalization Initiative Campaign Sees Organized Opposition . A political action committee has been formed to oppose the state's legalization initiative , which is currently awaiting confirmation that it has met signature-gathering requirements to appear on the November ballot. The Healthy and Productive Michigan Committee has $150,000, courtesy of a donation from anti-legalization crusader Kevin Sabet and his group Smart Approaches to Marijuana. Sabet says there could be more money coming, too. New York Poll Has Healthy Majority for Marijuana Legalization . A Siena College released Monday has support for marijuana legalization at 56%. The figure was 60% for New York City, 55% for downstate suburbs, and even 52% in conservative upstate. Three-quarters of voters under 35 supported legalization, while voters 55 and older were evenly split. The poll comes as Gov. Andrew Cuomo (D) is proposing a study to examine whether the state should legalize the weed. Utah House Fails to Pass Crucial Medical Marijuana Measure . The House last Friday voted to pass one medical marijuana bill, but failed to pass a crucial companion bill. The House passed House Bill 195 , allowing terminally ill patients to use medical marijuana, but then failed to pass House Bill 197 , which would have actually implemented the law by instructing the state Department of Agriculture and Food to write rules on growing marijuana and contract with a third party grower to grow the plant. "One is dependent on the other," said the bills' sponsor, Rep. Brad Daw (R-Orem), who is now second-guessing his decision to file the two bills separately. "Maybe it was the wrong policy, maybe it was the wrong decision." Meanwhile, a campaign to put a medical marijuana initiative  before the voters in December is well underway. 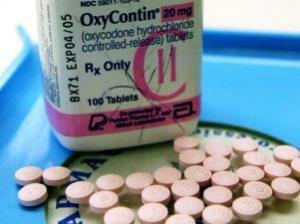 Oxycontin Maker Will Quit Marketing Opioids to Doctors . Purdue Pharma, the manufacturer of Oxycontin, announced last Friday that it will stop marketing its opioid products to doctors. The move has been a key demand of numerous lawsuits blaming the company for helping to trigger the current wave of opioid misuse. Purdue said it had eliminated more than half its sales staff and will no longer send sales people to doctors' offices to discuss opioid drugs. Trump Nominates White House Staffer to Head Drug Czar's Office . The White House confirmed last Friday that White House staffer Jim Carroll has been nominated to head the Office of National Drug Control Policy (ONDCP -- the drug czar's office). Carroll has been a top aide to White House chief of staff John Kelly. Before that, he was an executive at Ford Motor Company, and before that, he was an assistant state prosecutor in Fairfax, Virginia, where he prosecuted some drug cases. He appears to have no public health experience. The drug czar's office has been empty throughout the Trump administration -- a previous nominee, Tom Marino, was forced to step down after he was linked to a bill DEA officials said limited their ability to prosecute corporate opioid cases -- and just last week, the administration once again threatened to drastically cut its budget. Philippine Senator Jailed for Opposing Duterte's Drug Crackdown Calls on Him to Support ICC Probe of Drug War Deaths . Sen. Leila de Lima, who has been imprisoned for a year now on trumped up charges for opposing President Rodrigo Duterte's bloody drug war, challenged Duterte in a statement Saturday to support a probe by the International Criminal Court into "the rash of extrajudicial killings" unleashed by Philippines police. "Thousands of Filipinos are getting killed, and sadly, President Duterte remains unperturbed," said De Lima. "He chooses to ignore reports of glaring human rights violations and abuses by police and security forces who put law in their hands instead of facing the issue head-on. If he has nothing to hide, then it's high time for the President to support the independent investigation into the human rights violations and abuses incessantly happening under his regime," she added. Britain's West Midland Police Announce Plan for Prescription Heroin, Safe Injection Sites . West Midlands Police and Crime Commissioner David Jamieson has proposed allowing the provision of medicinal heroin to users unresponsive to other treatments, as well as a panoply of harm reduction measures, including "special consumption rooms," or safe injection sites. Jamieson said he hoped to see the proposals implemented by 2020.